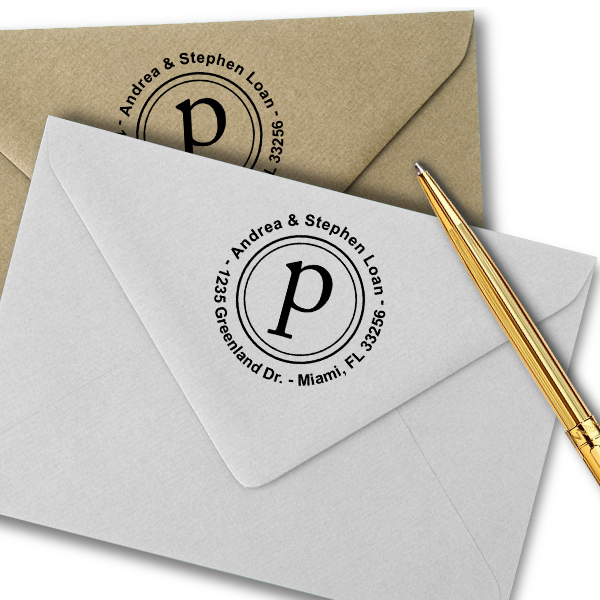 A simple stamp design, the Deux Line Letter Stamp features the initial of your choosing in the center, encircled by your custom text and address. This can be your name, last name, etc. To order yours, simply enter the text you would like at the top of the circle, the initial you want in the center, and your address. 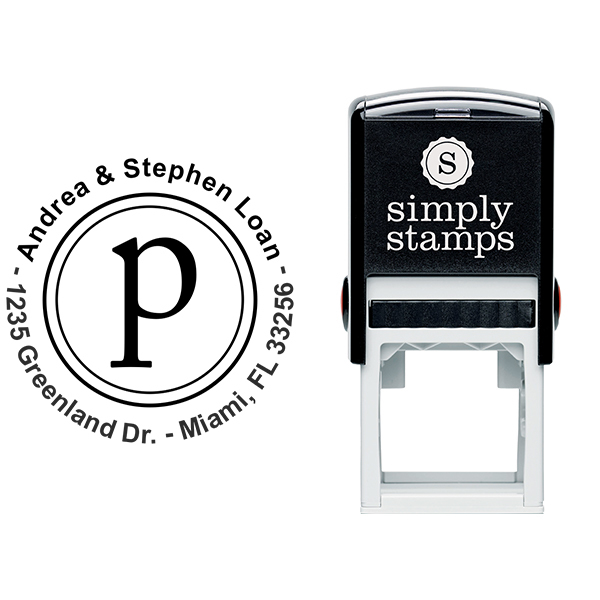 Then select your stamp type along with ink color (for self-inking stamps only.) 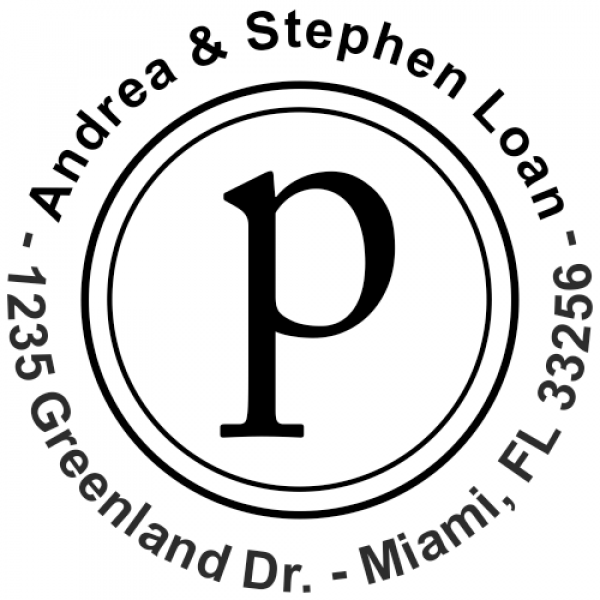 If you would like to up-size your stamp to a larger model, be sure to do that before proceeding to checkout. If you are ordering a traditional wooden-handled stamp, be sure to add on an ink stamp pad as one does not come with the stamp. Adopt a more convenient way to send out each and every one those letters all through the year by using one of our custom self inking address stamps! Address labels are sticky and rip easily, making their effectiveness more like a hindrance than anything. Express it with stamps instead, and make it through your daily chore list in a tiny fraction of the time. Naturally, this Deux Line Letter Stamp will assist you through the holidays! Made with only exceptional resources, this useful self inking stamp will thrive for decades to come! Buy yours now!